Embellish a focal bead with a tassel of beads. 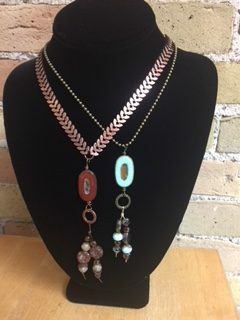 Accent with a simple chain or go funky with a bigger chain. We’ll show you our tips and tricks for a great summer necklace!